Since 2003, Healy Consultants Group PLC has assisted our Clients with business registration in Jordan. 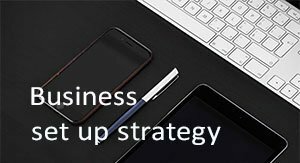 Our services include i) Jordan business registration ii) government license registration iii) Jordan corporate bank account opening services iv) employee recruitment v) employee visa strategies and vi) office rental solutions. The above is why USA multinationals like Coca Cola, Adidas, Macy’s and many others USA garment retailers set their manufacturing operations up in Jordan. For all reasons listed above, Jordan is ranked as the 35th best country in the world for total taxation over businesses, which only represents an average of 29% of their annual earnings. Because of Jordan’s impressive network of free trade agreements, our Clients setting up a manufacturing business in Jordan will also be allowed to re-export most products free of custom duties to the i) United States ii) Saudi Arabia, the UAE and other Gulf countries iii) Turkey iv) the EU v) Australia and vi) Singapore. Using a Jordan offshore company as a tax optimization vehicle also allow our Clients to pay lower taxes outside of Jordan, thanks to the country’s double taxation avoidance agreements with 35 countries including Canada, France, India, Indonesia, Malaysia, Qatar and the United Kingdom. 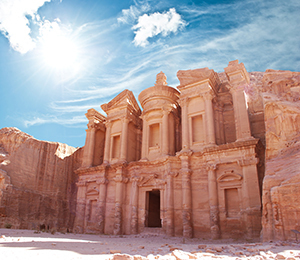 Jordan is known for its vibrant tourism sector that hugely contributes to its economy’s performance. Being one of the fastest growing sectors of the economy owed mainly to its excellent natural locations in Aqaba and the Dead Sea, Jordan holds a 75th rank (out of 136 countries) in the 2017 Travel and Tourism Competitiveness Index. 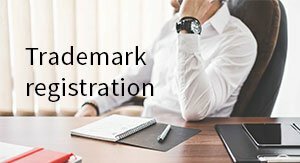 All shareholder and director supporting documents required for company incorporation must be translated into Arabic and some of them even legalized in the Jordan embassy in our Clients’ country of origin. To alleviate dissent over local youth unemployment, the Jordanian government sometimes stops issuing work permits to foreigners without giving notice to local businesses. For all the reasons listed above, Jordan is ranked as the 14th worst country in the world for investor protection and compares unfavorably to most other Middle Eastern countries including i) Saudi Arabia ii) the UAE and iii) Bahrain. Over 600,000 Syrian refugees are currently hosted by Jordan but banned from working and disregarded by some Jordanians, a situation which may cause riots and other security problems. Jordanian industries are likely to face huge water crisis since Jordan is one of world’s most water-stressed countries. It’s water poverty can be witnessed through its poor ranking in the 27th position in the World Resources Institute’s water stress rankings. 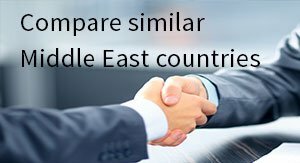 For all the reasons above, it is cheaper for a multinational to supply the Middle Eastern markets from Jordan than to set up a subsidiary in Saudi Arabia or another expensive Middle Eastern country. To help us engineer the optimum Jordan corporate structure, please complete the 3-minute questionnaire below; then press the submit button below. What are the cost and timeframe required to open a local company in Jordan? Kindly refer to this webpage to see the breakdown of the fees for each type of legal entity. The estimated timeframe to register a company and open a its corporate bank account in Jordan is 3 months. How many documents do we need to attest? If the company’s shareholders and directors are all individuals, the sole document to be attested is a Power of Attorney (POA). This POA will allow Healy Consultants to register the company on our Client’s behalf. 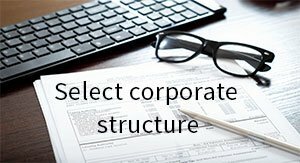 If corporate shareholders are also involved, the Jordan authorities will require our Client to provide certified attested copies of the following documents: i) the certificate of incorporation, ii) the memorandum and articles of association, iii) the list of directors and shareholders a iv) POA and v) a Board of resolution. To complete the attestation process, our Client will sign and legalize the documents at the nearest Embassy of Jordan and courier the same to Healy Consultants’ office. Upon receipt, we will translate them into Arabic and re-attest them locally at the Ministry of Foreign Affairs in Jordan. 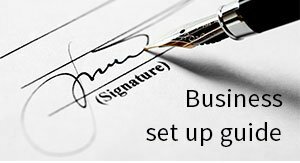 What are the steps to Jordan company set up? In order to complete the registration of a Jordan company, Healy Consultants will firstly assist you to open a capital account, to be used to inject the minimum paid up capital of the company. Our team will thereafter secure a certificate of deposit and submit the same together with the attested corporate documents to the Jordan Companies Registrar. After the company is fully registered, we will assist our Client to convert the capital account into a trading account and then register the company for tax and VAT with the local tax authority. The whole process takes approximately 3 months. Your business will be thereafter be legally allowed to trade with its customers. See also this page for a detailed account of the steps to complete a Jordan engagement. Do I need to appoint a resident director or manager in Amman? A local director is not required. However, branches and representative offices of a foreign company both require the appointment of a resident manager. 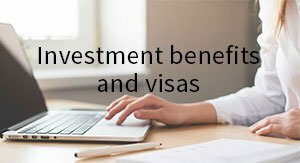 Foreigners can be appointed as resident managers, provided they have a valid work permit in Jordan. 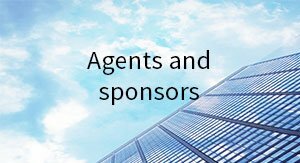 If required, Healy Consultants will be pleased to provide our Client a professional passive resident manager for an annual fee. See this page for further details on such service. How easy is to employ foreign employees in Jordan? It is challenging to get work permits in Jordan because the Jordan Government protects and favours Jordanian nationals. In addition, Jordanian Corporate Laws require that the number of Jordanian employees in a Non-Operating Foreign Company in the Kingdom should not be less than half of the overall number of the Company employees. Do I need to deposit share capital before the company is fully registered? Yes, foreign investors are required to have an issued share capital equivalent to US$70,650 (JOD50,000) per foreign shareholder. Out of this amount, at least US$70,650 must be injected into a corporate bank account in Jordan before company registration is complete. In other words, a company in Jordan registered by two foreign shareholders requires a share capital of US$141,300 (JOD100,000) and US$70,650 is to be paid up before company registration. The Investment Commission is currently reconsidering to lower down minimum capital requirement. What is the advantage of making Jordan the Middle East headquarters for our Client’s business? Permission to import commercial samples and exemption to pay customs duties or import taxes. A regional office is prohibited from conducting commercial operations in the Kingdom and subject to a foreign manpower quota set at less than 50% of its total workforce.